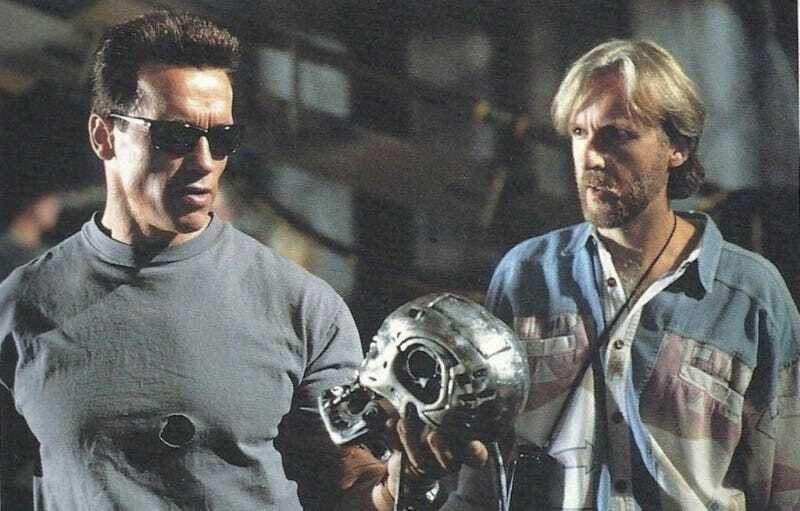 This is kind of an insane longshot, but Gale Ann Hurd, who produced The Terminator and Terminator 2, told fans last weekend that it’s at least possible she will team up with original director James Cameron on a new Terminator film. Actually, as Digital Spy points out, Cameron will regain the rights to the Terminator franchise in 2019—which is one reason why there’s been such a rush to get new Terminator films out. (Until Terminator Genisys underperformed, there were plans to put out two more Terminator films in the next few years.) At that point, Cameron will be able to make a new Terminator movie himself or else just let the franchise die. Maybe Cameron has softened his position after seeing Terminator Genisys, though. And after making three more Avatar films, he’ll be ready to, uh, get back into the Terminator universe?